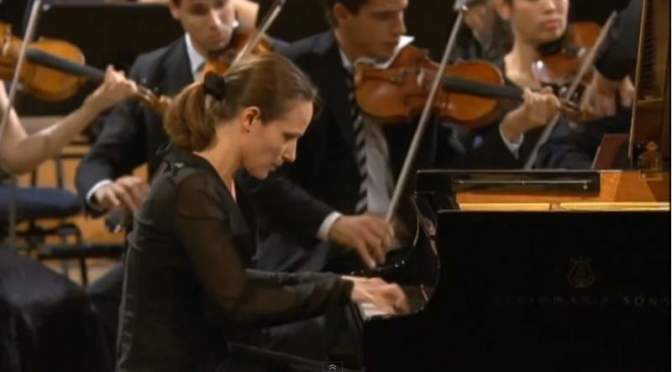 Accompanied by the hr-Sinfonieorchester (Frankfurt Radio Symphony Orchestra), French classical pianist Hélène Grimaud performs Ludwig van Beethoven’s Piano Concerto No. 5 in E-flat major, Op. 73, popularly known as the “Emperor Concerto”. Conductor: Paavo Järvi. Recorded at Suntory Hallin Tokyo, Japan in June 2008. Accompanied by the NHK Symphony Orchestra, French classical pianist Hélène Grimaud performs Johannes Brahms’ Piano Concerto No. 2 in B-flat major, Op. 83. Conductor: David Zinman. Recorded at Tokyo’s Suntory Hall on 16th January 2013. French classical pianist Hélène Grimaud plays the second movement, “Adagio” from Wolfgang Amadeus Mozart’s Piano Concerto No. 23 in A major (K. 488). The piece is recorded for her 2011 album, “Piano Concertos”, her first ever Mozart concerto recording. French classical pianist Hélène Grimaud plays the last movement, Ciaccona (Chaconne) of Johann Sebastian Bach’s Partita in D minor for solo violin (BWV 1004) on piano. Piano transcription of the piece was written by the Italian composer, pianist, conductor, editor, writer, and piano teacher Ferruccio Busoni (1 April 1866 – 27 July 1924). Accompanied by the Lucerne Festival Orchestra, French classical pianist Hélène Grimaud plays works from the Russian composers Sergei Rachmaninoff, Pyotr Ilyich Tchaikovsky, and Igor Stravinsky: “A Russian Night”. Conductor: Claudio Abbado. Recorded live at the Lucerne Festival in Summer, on 22 August 2008. 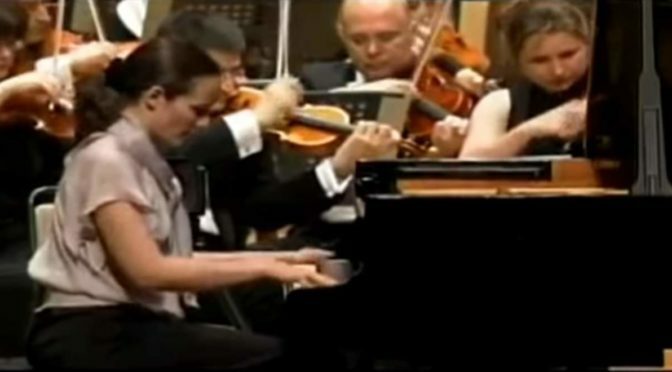 Accompanied by the Southwest German Radio Symphony Orchestra (SWR Sinfonieorchester Baden-Baden und Freiburg), French classical pianist Hélène Grimaud performs Johannes Brahms’ Piano Concerto No. 1 in D minor, Op. 15. Conductor: Michael Gielen. Recorded on April 17, 2005.